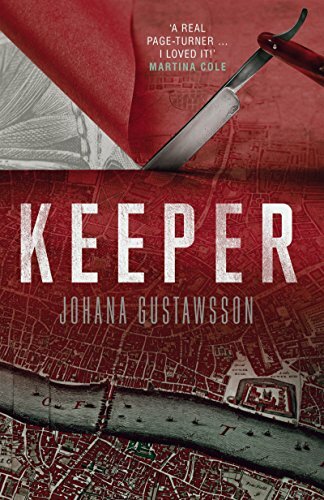 Crime writer Johana Gustawsson is back after terrifying us with her internationally acclaimed bestseller, Block 46, this time with an equally terrifying story of past and present. Puzzlingly for investigators, with the man arrested for the Tower Hamlets crimes already locked up, do the new killings mean he has a dangerous accomplice, or is a copy-cat serial killer on the loose? Profiler Emily Roy and true-crime writer Alexis Castells—the two main protagonists from Block 46—return to offer their expertise, again finding themselves drawn into an intriguing case of murder and deceit. However, this time there are personal links that will eventually turn their world upside down by opening up old wounds. Will they find Julianne Bell before it’s too late, or will she become another victim? It’s a race against time with very little time left to race against. Gustawsson captures Victorian London with all its seediness, stench and crime as graphically as Dickens did its poverty and despair. The juxtaposition of the past and present are seamlessly accomplished, in mesmerising, short, incisive chapters. Roy and Castells are terrific original characters, whose longevity is guaranteed, but watch out for new kid on the block, Swedish Detective Karla Hansen. Keeper is a relentless, heart-stopping masterpiece, filled with nightmarish situations that will keep you awake long into the dark nights of winter.